The Ministry of Foreign Affairs of Ukraine expresses its strong protest in connection with another wave of groundless searches and illegal detentions of citizens of Ukraine in Bakhchysarai in the Russian-occupied Crimea, according to the Foreign Ministry website. "The attack of the occupants against those who oppose the occupation regime, Crimean Tatar activists and Ukrainians, once again demonstrates the ongoing Russia's repressive policies aimed at eradicating any dissent as well as intimidating the population of the Crimean peninsula. Moreover, targeted searches in Muslim homes indicate persecution on religious grounds,” the statement said. The department indicated that six people were illegally detained following the searches, and at least 9 activists were detained only for coming to support compatriots and were near the places of searches. 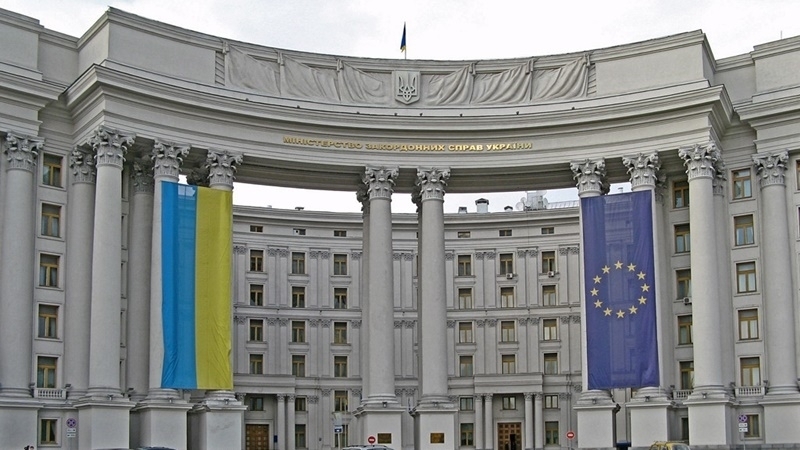 The Foreign Ministry indicated that Russia continues to defiantly and cynically violate its international legal obligations, UN General Assembly resolutions of March 27, 2014 "Territorial Integrity of Ukraine" and the one of December 19, 2016 "The situation with human rights in the Autonomous Republic of Crimea and the city of Sevastopol ( Ukraine) ", the order of the International Court of Justice on the application of measures in the framework of the lawsuit of Ukraine against the Russian Federation on the application of the International Convention on the Elimination of All Forms of Racial Discrimination. "We call on the international community to act in defense of the rights and freedoms of the inhabitants of the Crimean peninsula and force Russia to stop the criminal persecution of those who disagree with the occupation," the Foreign Ministry states. QHA reported that since the morning of October 11 in Bakhchysarai searches were carried out in several homes of Crimean Tatar activists. After the searches in Bakhchysarai, 6 Crimean Tatars were detained on charges of involvement in the organization Hizb ut-Tahrir, which was banned in Russia and on the territory of the annexed Crimea. Another 9 activists who came to support the "suspects" during searches in their homes were taken to the local police station. On the evening of October 11, the "court" in Bakhchysarai released eight of the nine Crimean Tatars detained during searches. All of them were fined of 10,000 to 20,000 rubles, which in total amounts to approximately 100,000 rubles (about 1726,47 USD).